Where is my pattern for random?????? 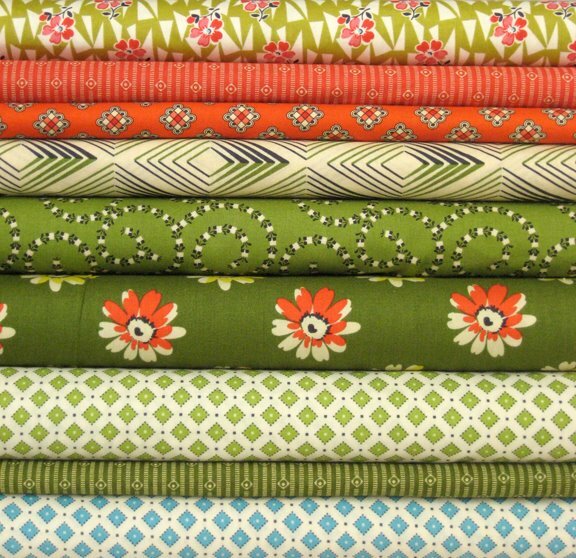 The NEW beautiful Denyse Schmidt fabrics for Joann's is out!!!!! I need a bigger fabric budget!!!!!! I'm loving the quilt top so far! I thought the same thing you did when I saw Denyse's announcement on FB today! lol! That quilt is going to be really beautiful! I love that pattern with different size of squares! 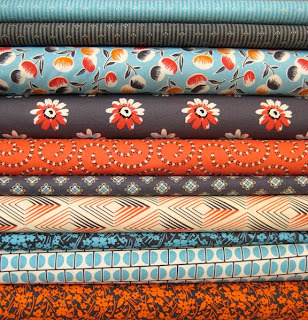 And those new fabrics - wow - where is my fabric budjet?! 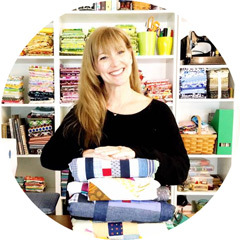 Have a busy sewing weekend! Love your quilt so far! Good luck on finishing. Those fabrics are great! Much more my colors than the previous releases. 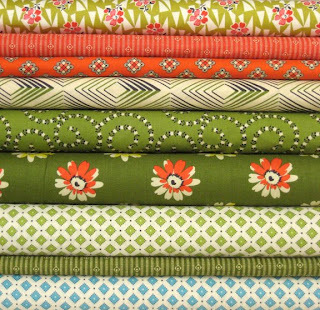 I may have to take a stroll to JoAnn's! 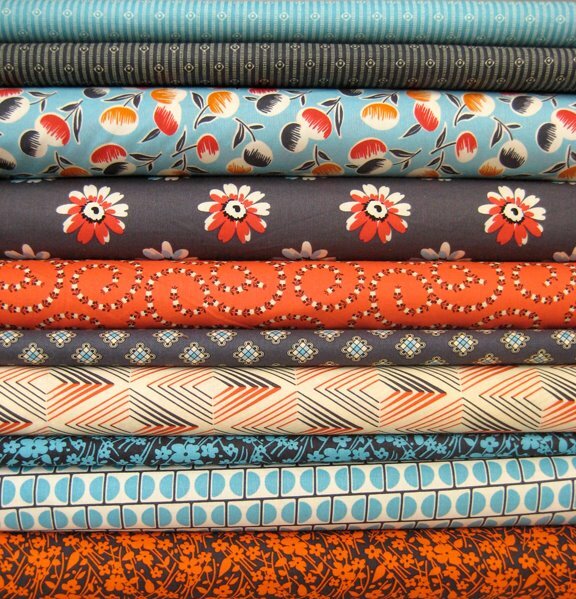 Great new DS fabrics and I love the look of the top so far. wow and double wow. i had no idea joann's would have another DS line so quickly...my budget hasn't caught up! love!! what you are doing with Hope Valley!! I've always liked the combo of little corner squares and bigger center squares. Looking great so far! Your quilt top is coming along really nicely. I love the DS bundle in blue and orange... I still have a tonne of Picnics & Fairgrounds that haven't been cut into yet! !